Unfortunately for broccoli, it kind of has a bad rap. Thanks to people cooking it in not-so-fun ways, it’s become known as one of those bland, mushy veggies – like Brussels sprouts. But for anyone who has roasted broccoli, you already know that it’s actually dang delicious. My mouth kind of waters just thinking about it. Sure – steaming it in the microwave is a heck of a lot faster…but the taste payoff is much bigger when you roast it. This recipe takes the flavor up a notch. 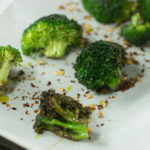 Using red pepper flakes, this version of broccoli has a nice little kick to it. Broccoli is loaded down with nutrients that our body finds really helpful. It’s classified as a cruciferous veggie. 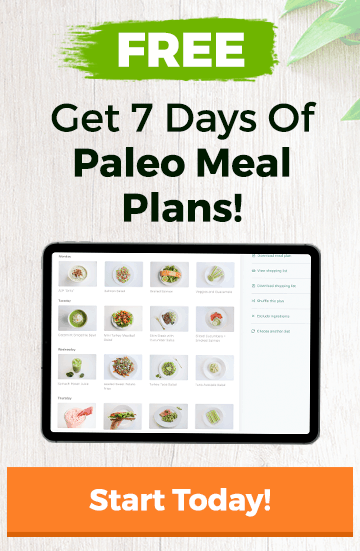 This family of vegetables has sulfur-containing compounds called glucosinolates that trigger antioxidant and anti-inflammatory responses in the body and keep our cells in homeostasis…aka – balanced and happy. When you can, get some broccoli on your plate. And if you want your tastebuds to be happy, make sure it’s roasted! Broccoli is one of those veggies that takes on new life when roasted in a hot oven. The edges become crisp, and the flavor comes alive in a way that it doesn’t when steamed. This version is extra hot and spicy thanks to crushed red pepper flakes. 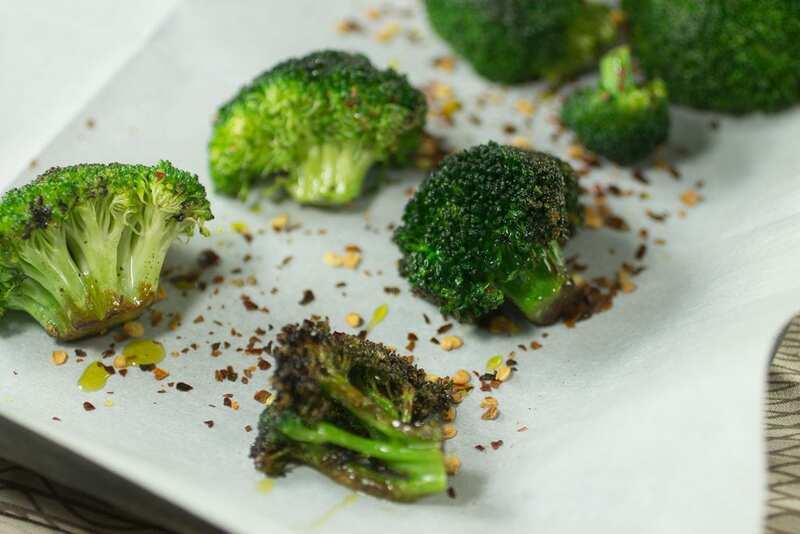 Toss all of the ingredients until broccoli is well coated, and spread evenly on a baking sheet. Roast for 30-40 minutes, stirring once or twice, until broccoli is charred and tender. Serve immediately.